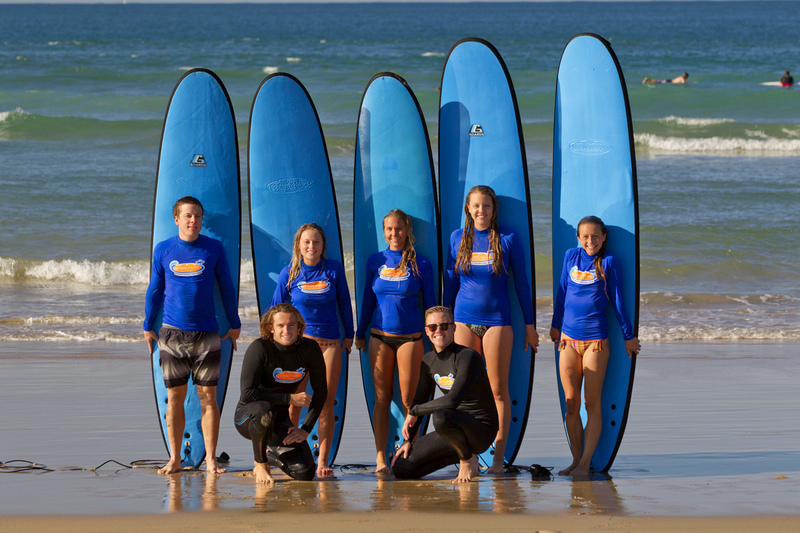 Our 1 off lessons are designed to give our clients a great introduction into surfing. We concentrate on surf safety, surfboard design, how the surfboard works in the water, surfboard control, negotiating waves, paddling, catching waves and standing techniques. You are welcome to upgrade your lessons after your first session. FREE pick up and drop off from your accommodation. After three lessons with Noosa Surf Lessons our goal would be to get you standing up surfing correctly and confidently, riding broken white water waves and starting to develop trimming and basic turns. You have 12 months to use your three lessons. After five lessons with Noosa Surf Lessons you should be confident enough to go out surfing by yourself. By this stage we would have covered all the basic skills you need to get you out there practising by yourself. You should be able to confidently get yourself out through the surf with a number of different methods, know basic surfing etiquette and be working on catching clean unbroken waves. Packages valid for 12 months. After any lesson you can keep your surfboard and rash vest/wetsuit for the rest of the day. A great way to keep practising after your lesson.